Part 5! By the end of this post I will have profiled 25 groups attending TIF. Which sounds good, but this year there’s about 200 attending so I do have my work cut out for me! 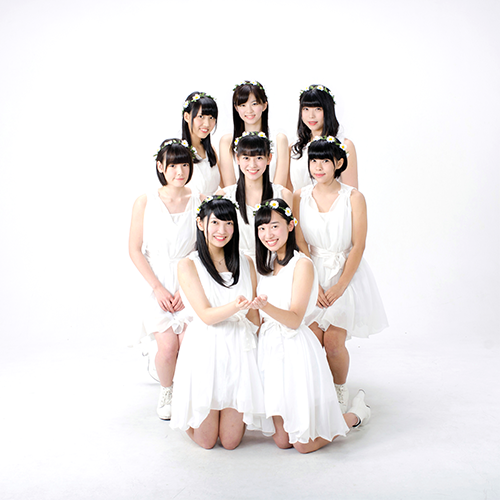 AIS is a new group that was formed this month from auditions for Idol Renaissance. So this is the first sister group for Idol Renaissance. 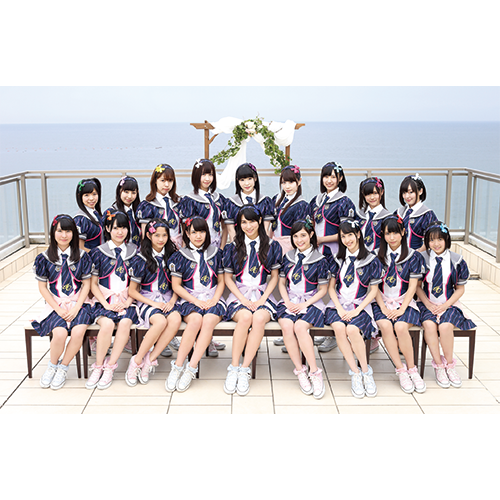 Basically, this group’s aim is to do 21st century idol songs as covers. I’m not entirely sure what that will entail (since Idol Renaissance does cover songs, but they’re not idol songs), but if you like Idol Renaissance you should check them out. Personally I do like Idol Renaissance, and the promise of a group that covers quality idol songs is appealing, so I’m looking forward to seeing more of them! Since they’re brand new there’s not much out there, but hopefully there’ll be more soon! @17 is a group that came from @Home Cafe, a popular maid cafe in Akihabara. As you have probably guessed, maid is the theme of the group. They also seem to be fairly new -doing searching on YouTube, the only video I can find is their TIF announcement/ introduction. Plus, they haven’t put out any singles yet. However, if you like cutesy idols you could probably do much worse than this, or if you’re a fan of @Home Cafe then you might want to check them out. Otherwise it’s mostly time to wait and see what happens with @17! Ichisaki Miki is the first soloist I’ve covered for TIF this year! I know that I’m personally looking for more soloists to follow, so Miki might be someone to follow. So far she’s not doing too much, at least much we can see outside of Japan. Right now she’s appearing on a program on Abema TV, a Japanese net TV site. She’s also a regular on a Nico Nico show called Idol Party. 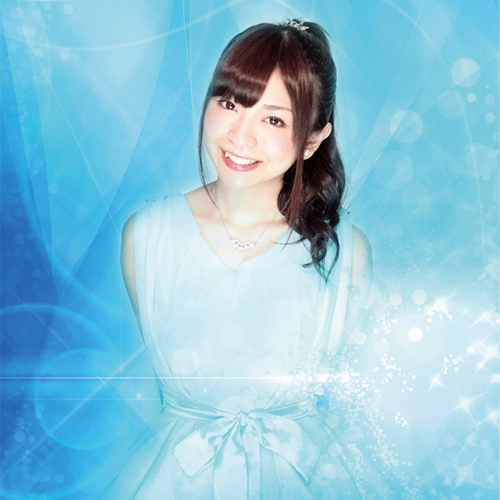 Aside from that, while she doesn’t have an official website, she does have an Ameba blog, and has put out 6 singles. She’s also a member of KiraLyraHeart, an idol group. That said, she is very indie so being a foreigner means it’ll be harder to follow her. However, she does perform at live shows over 300 times a year, so if you’re in Japan being a fan of Miki might be doable. She seems like a pretty solid performer and with her work ethic I hope she goes far. I don’t know how much I’ll follow her, since I can’t go to her concerts, but if you’re in Japan I’d urge you to check Miki out! NAH stands for Nao Akari Haruka, the three members of this group. A name like that is usually difficult to search for, but lucky for me NAH is pretty straightforward. NAH is a limited time unit made up of a member from Babyraids Japan, Tokyo Performance Doll and Party Rockets GT. They were formed to be the “navigator” for this year’s @Jam Expo 2016, where they will disband in September. If you’re going to @Jam Expo or like one of the members they may be a group to pay attention to, but otherwise probably not! Still, I love these temporary idol super groups, so I’d love to see more! Erabareshi is the latest group from Akihabara Backstage Pass, the idol themed cafe in Akihabara produced by Tsunku and Shikura Chiyomaru. Previously the cafe had created Bakusute Sotokanda Icchoume, which is most of the performers at Akihabara Backstage Pass with a rotating lineup of front members. This time, Erabareshi is a group with a set lineup from the performers at Akihabara Backstage pass and they just made their debut – their first single is Ai no Fushigi. I can see this group appealing to a lot of people, especially those who live abroad and actually don’t go to Akihabara Backstage Pass. Bakusute is slightly overwhelming in size, especially if you can’t visit the cafe. Since Erabareshi has already been performing Bakusute songs, if you like those songs and you want a manageable group, Erabareshi might be for you. They are unfortunately, like Bakusute, behind the YouTube Red localization wall, but if you aren’t affected by that you might want to give them a shot. Personally, Bakusute hasn’t really appealed to me musically since their indie singles, “Produce” and “Yoropiku Pikuyoro” so I’m not sure how much I’ll follow Erabareshi, but I can see big things for them. Usually when I make these profiles I try to write a direct romanization of the group’s name as the header. While it’s not always possible to get it 100% correct (for example, Idol Renaissance is アイドルネッサンス which actually combines the words for idol and renaissance) I try my best. However, I don’t know if AOP, the arguable best romanization, does this group’s name service. Basically, 応 is the kanji used in 応援, which means cheer. So this is really A Cheer P, but not really. AOP is still the best here, though. The name stands for Anime Ouen Project, or Anime Cheer Project. Essentially, all the girls in this group are fans of anime. They’ve done some anime theme songs, in fact, including opening themes for Osomatsu-san that have made AOP a bigger deal, to the point where one of their singles for this hit #2 on the Oricon chart. While having a group focused on people who are a fan of something nerdy isn’t new (it’s a big part of the basis for Dempagumi.inc and Fudanjuku, to name a few), I think it’s a fun concept. It means that it’s a group founded on enthusiasm, which seems to be the case taking a look at their PVs. They’re fun, colorful, and have upbeat music and PVs. They seem to be the exact type of group I can get into. So while this is honestly the first time I’ve really heard of or looked into AOP, I doubt it will be the last! The first of many Stardust groups at TIF! 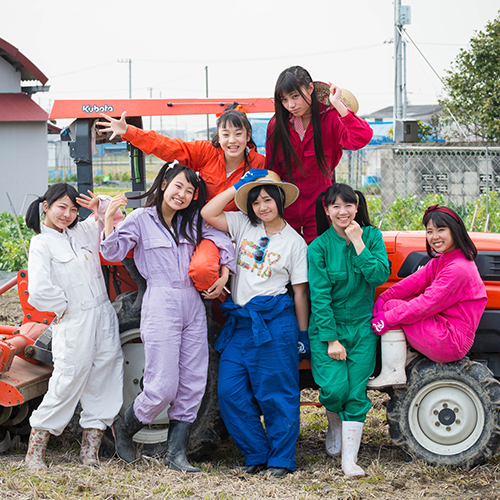 Initially formed in 2009, S Spicy is an older sister unit to groups like Momoiro Clover Z, Shiritsu Ebisu Chuugaku, Team Syachihoko and others. While the group has undergone several iterations (including being S Spicy 1 as a solo project), it has stuck around (including one member, Kurita Moe, sticking around since the first iteration of the group!). As implied by being a big sister group, a big draw is that the members are older and not necessarily your typical idol age. Despite being around for so long and being a part of a well known talent agency, S Spicy has only released five singles since 2009, across the multiple iterations. So if you’re looking for a group that’s active (at least, active in a way that’s visible to foreign fans), S Spicy isn’t probably your best bet. That said, if you like Stardust they’re worth your time, and if you’re looking for a group with older members then S Spicy might be something to look into! X21 was formed from members of a beauty contest – the Japan Bishoujo Contest (the original group was all made from finalists of the 13th Japan Bishoujo Contest but they’ve since added finalists from other years as members graduate X21). So if you’re looking for idols who are cute or beautiful, X21 is there for you. That said, I think I’ve underestimated X21 in the past – I never liked much of their songs and kind of wrote them off as focusing more on looks than music. 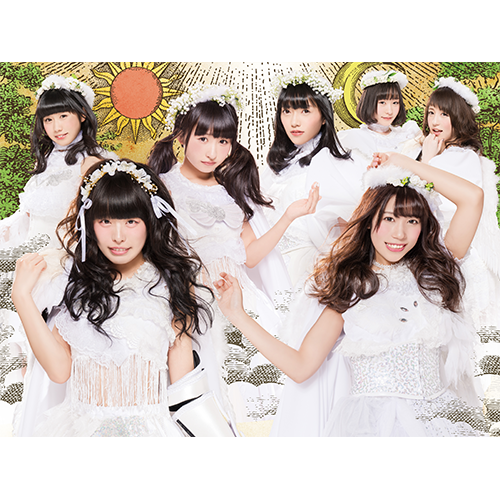 However, their two most recent singles, “Yakusoku no Oka” and “Magical Kiss” are both really excellent – “Yakusoku no Oka” could end up as one of my favorite songs in the year. Since they are on the Avex label there is a level of polish there and some great songs. They also seem like they are coming along as performers. So, don’t be like me and write this group off because of their origins – rather, check them out. If you shorten Edge Dub Monkeyz, what do you get? EDM. So yeah, they’re idols that do EDM music. They’re a six member unit that formed mid 2015 and first performed at an EDM festival, and have released one single (“EDM Doll”) and one mini album (“Sape On Party.”) So they’re very new to the idol scene but are already fairly active in getting stuff out there, and this is reflected on YouTube – they have a couple of 30 minute short live concerts on. I’m a bit surprised at just how EDM this music is. Their music doesn’t sound like typical idol music with an EDM beat or a dubstep break – for the most part they’re doing EDM music but the idol stuff is fit in. This makes for some pretty solid music – “EDM Doll” is a total jam. However, it might mean that if you’re interested in idol singing this might not be for you. “EDM Doll” is great but there’s very little singing in it, just mostly some spoken/chanted sections. If you like EDM this might be a group for you to check out. Personally, while I like some EDM that’s not enough to make me follow Edge Dub Monkeyz, and there’s already another EDM idol group I much prefer (Dinosaur Brain). At first you might think this group is called Ai no Ha girls, based off of the kanji – however, they pronounce it Enoha Girls because they hail from Ehime Prefecture. They also have a bit of an agriculture theme, and one of their goals is to resolve the issue that there’s a shortage of next generation farmers. I’m not sure if this is a goal that can be achieved by a local idol group, but it’s an important one. The interesting thing is that there are actually a few different groups with different areas they focus on – there’s Enoha Girls Leaf, group of five; there’s Sacky, a soloist; there’s uu Girls, a duo based in Uwajima; and there’s Ange, the trainees. So, for being a local idol group there’s actually a lot to focus on here. This group is really small and really local – so far I did find their YouTube page but it just has some appearances doing agricultural things and an appearance in a CM. 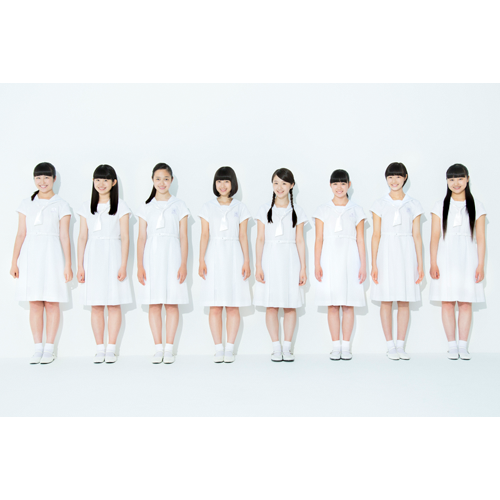 They’ve put out 7 singles (which is pretty solid for a small group like this!) but they look like they’re only limited releases (their most recent two singles are the only ones available on CDJapan). Other than that it’s assorted local performances filmed by fans. Some of their singles are fine (their first, Kimi Suki, is pretty cute) but they aren’t secretly amazing as a music group. They’re a local idol group focused on performing locally and promoting their region. So really I’d recommend them at this stage as a group to focus on if you are in Ehime prefecture or will be. Otherwise, maybe wait and see where this group goes. Chances are if you know idol groups you’re probably at least a little familiar with Up Up Girls (Kakko Kari) but here’s the gist. All the members of UUG were trainees with Hello!Project Egg. However, when their careers weren’t going anywhere with that, they all formed a KPop cover group called UFZS and now are doing their own music with Up Up Girls. They’re a fairly prolific group (though their single releases have slowed down a bit), and do a lot of performing. Lately their music has taken an EDM focus, with both Bijo no Yajuu and Party People Alien being particular highlights of their recent discography. While UUG has always been in the periphery of my idol interest (I really like Sekine Azusa and was a fan of her H!P Egg days) they’ve never really done much for me. That said, I think their EDM direction is a good one. They put a lot of effort into their most recent single, Party People Alien, and it’s been getting some good buzz. And for good reason – Party People Alien is one of the best songs of the year so far. I think if they follow this they could get a great niche for themselves. Afilia Saga is still going strong, which is good to see. Formed in 2008, this group has a gimmick of the members being “magic students” and all of them work at the Afilia Group cafes and restaurants which have that same gimmick. All of the members have themed names as well – think Yukafin Doll and Love Berry Janne. Like I said, they’re going strong – their most recent single, Itsuka Mita Niji no Sono Shita de, hit #5 on the Oricon chart and they’ve done comparably well in the past couple of years. I feel like these complaints are a bit tired (I know I’ve mentioned this in the past), but I wish they would lean in a bit more to the magic user angle, possibly adding a story. Watching their latest PV, aside from their outfits and a brief moment at the end, there’s not a lot to indicate there is anything magical about this group. 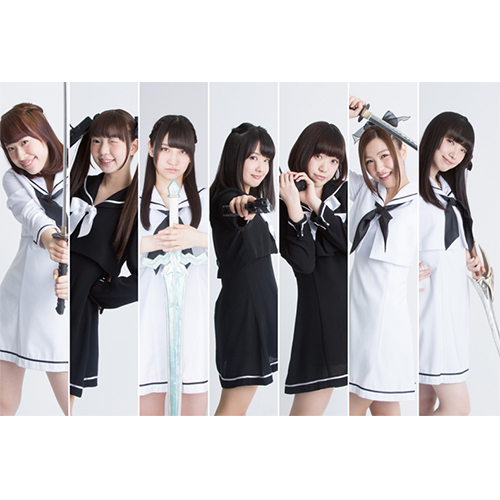 I wish they’d do something themed like LinQ’s “LinQuest ~Yagate Densetsu e~” as a model, which had RPG games as the theme of the PV. Doing this would add a lot more character to this group. That said, their songs are pretty solid – I especially like Neptune Sagashite, but their latest singles are quite good. If you’re an Anison fan, you should probably be listening to Afilia Saga. Other than that, if you want a super cute / moe group with catchy music, I’d check out Afilia Saga. I feel a weird sense of pride about Ayumikurikamaki because of their start. They started as just Kurikamaki who performed pretty low budget videos in one of their bedrooms. And guess who covered them for TIF? In all seriousness, Ayumikurikamaki is a real underdog story. Starting as a DJ unit Kurikamaki and adding Ayumi (a singer) later, this group has gone from performing in a bedroom to being on a major label and performing on TV shows. Ayumi is the singer, Kurika the DJ, Maki is the hype girl. They just put out their first album after several singles. While I don’t follow them as much as I’d like, they’re a really solid unit with good music. Jet Kuma Star is great. They’re a bit hard to find on YouTube and in American music channels, so following them will be some extra work, but I do think it’s worth it. They’re a pretty unique group that literally went from doing videos in a bedroom to a major debut, which I think is pretty cool. It’s not Alice Project, it’s Alice In Project, which is totally different. 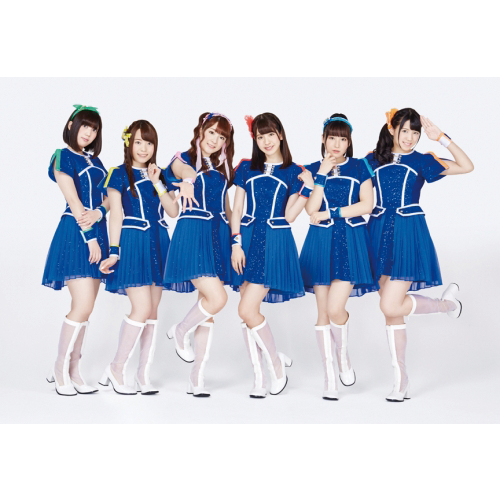 Alice in Alice is an idol group that comes from the Alice in Project theater troupe, and recently added the friends when they made their major debut and also so that they could collaborate with other Alice in Project members freely. Also, they made their major debut, which is honestly not something I saw happening. They’re a group that has grown a lot over the years – they’re doing interesting PVs, Their PV as Alice in Alice, Busho Korin Over Again is legitimately pretty good. That said, they still have a ways to go. There’s not a lot that sets this group apart, aside from the theater aspect, which is not something that’s going to appeal much to, say, us following the group from overseas. That’s obviously not the group’s problem, but having better songs for example would increase their widespread appeal. That said, their latest song “Space Lovely Tutorial” is their best song I’ve heard and there is a lot of personality in the PV, so I think there is still opportunity for them to grow. Ange * Reve has only been around for about two years, but they’ve made a big impression on me. A sister group to Lovely Doll, Doll Elements, Luce Twinkle Wink and other groups from the Arc Jewel family of idol groups, both of Ange Reve’s indie singles, “Yuukan na Koi no Serenade” and “Kiss Me Happy” are two singles I particularly enjoyed, so checking up on Ange Reve is something I enjoy. In the past year Ange Reve has made their major debut with Pony Canyon, so they’ve hit it big. ANd for good reason – they’re a genuinely enjoyable group. That said, since Pony Canyon is part of the Youtube Red and Japanese music deal, checking in on the newest Ange Reve songs isn’t as easy as it was when they were indies. While their recent DVD singles don’t quite hit the levels of something like Kiss Me Happy, they’re both still cute and catchy – their most recent DVD single, “Stare,” especially. So if you want a fun idol group to follow that mostly does cute songs and has fun live performances, Ange Reve might be the way to go. 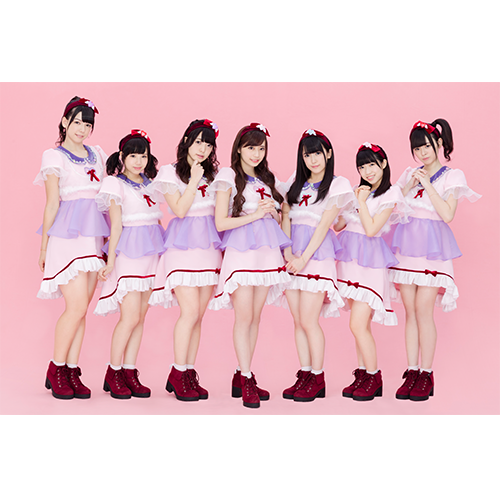 They are a fun group to pay attention to, even if I only casually follow Ange Reve, and they would definitely be a group I’d check out at TIF if I was able to go! i*Ris is a group I found through TIF and one I should have followed more closely. Their song Gensokyoku Wonderland is one of my favorite idol songs of the past few years, and they’re an incredibly well produced group. Produced by Avex (hence the production quality), i*Ris is a group where the members are voice actors and they’ve also had a big year. Their single “Goin’ On” hit #8 on the weekly Oricon chart, they put out their second album, and they are going to host their fourth anniversary concert at the Nippon Budokan later this year. So big things are happening for i*Ris. Honestly, I think the only issue I’ve had with this group is that Gensokyoku Wonderland is TOO good. That might sound counterproductive, but when none of the rest of their music lives up, at least to my tastes, I will tend to listen to that one song and ignore the rest. 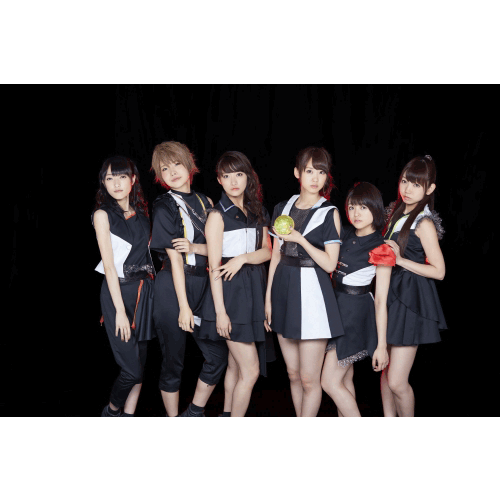 The rest of their music is good – it’s pretty polished idol pop. They do a lot of songs for anime series, especially the series Pripara, so if you like upbeat, cheerful anisongs then i*Ris might be up your alley. Otherwise, they are a really well produced group, so if you want Avex production value but you’re not into Super Girls or Cheeky Parade, they might be a group to check out. OK, maybe some of you can help me because I’m not sure about Aomori Nightingale. 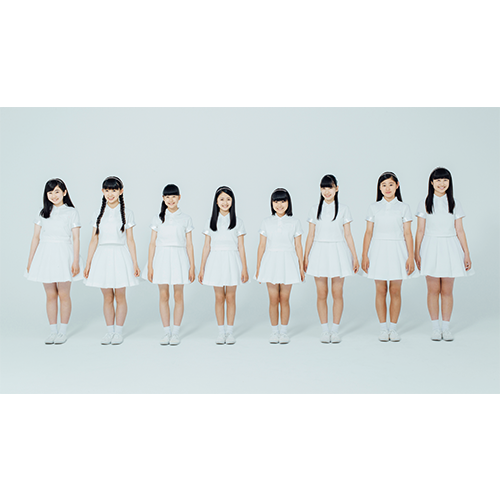 They seem like a pretty standard local group – formed to promote Aomori, are doing local festivals and are local ambassadors, they put out one pretty low budget PV for their first single Wish Comes True. However, their videos are all highly disliked – admittedly they don’t have a ton of views to begin with, but they often have a higher ratio of dislikes to likes, which I don’t understand. While admittedly Aomori Nightingale isn’t spectacular by any means they aren’t bad – Wish Comes True is pretty catchy, and I like how they are promoting other local Aomori based idols on their YouTube channel. They’re not a group I’ll probably pay much attention to, but if I was in Japan and based in Aomori I’d probably follow them. It’ll be interesting to see where they go in the future. as Mecha High) made their major debut last June, which was one of their big goals. Unfortunately, three members will also be leaving the group after Tokyo Idol Festival, so if you get attached to this lineup you might want to work on getting to TIF. Weirdly, their PVs are easier to find on YouTube from before their major debut, rather than after – a short version of their major debut is available on YouTube but other than that not much, which feels a bit counter productive – shouldn’t a major debut make things easier? There are a couple of official concert videos available that were shot on GoPros, though, so that’s helpful, but I always find it a bit odd when a major debut makes things more difficult for everyone. The thing is, they seem really fun – their videos are colorful and fun, their music upbeat, and everyone seems very energetic. Their song and video for “Beyond the Darkness” are both really great. Watching their gopro lives on YouTube are fun, too. I’d like this group to become more accessible mostly for myself – they seem like a really fun group, and one I would definitely check out at TIF. Akishibu Project, back again! Formed by former BiS member Rinahamu, this group aims to bring together the culture of Akihabara and Shibuya (hence, Akishibu), since Shibuya culture is more female centered. They’re having a concert at Zepp Tokyo this August, so they are still growing. They’ve put out two mini albums but seem to be more focused on live performances rather than putting out singles/videos. While their musical sound tends to be more Western and their aesthetic aims to be both idol-y and fashion forward of Shibuya, ultimately it seems like Akishibu Project appeals a lot to idol fans – taking a look at some of their live shows they clearly have a lot of idol fans coming out and a lot of more energetic songs. However, the songs they tend to promote are more Western, Shibuya style. 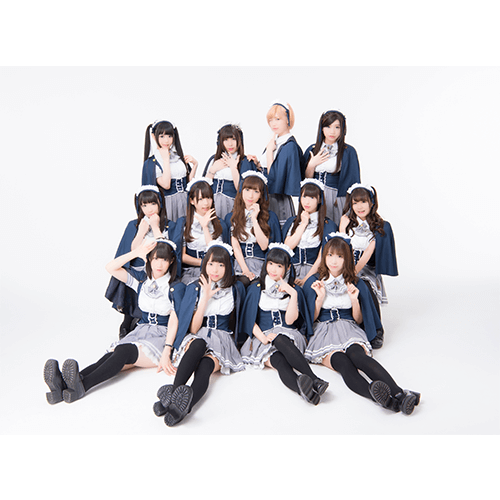 That said, if you want more fashionable idols or you like more Western sounding music (or ballads) Akishibu Project could be a group to check out. Neither have much up about them yet. I found one performance of Breeze Sea, but they are both fairly unknown. However, a lot of talented idols have come from Hiroshima Actors School – Perfume, former Morning Musume member Sayashi Riho, Babymetal’s Nakamoto Suzuka, and that’s just the tip of the iceberg. So, while these units are fairly unknown, I’d say check them out, if only because there’s the possibility that one of these girls (or groups) could make it big. OK, it wouldn’t be right if I didn’t try my annual undertaking to profile the groups of Tokyo Idol Festival. Last year I didn’t make it through that many groups, but this year will hopefully be different. 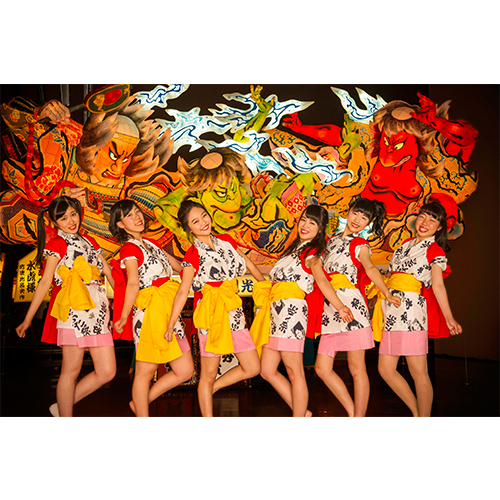 Formed in 2013, AiCune is the sister group to hard rock idol group Himekyun Fruit Can as well as FruitPochette and NanoCune. However, despite forming nearly about two and a half years ago, it seems that AiCune hasn’t done too much. They put out their first mini album in 2014 and their first single, Nagisa no Sympathy, came out last August. The group also recently had several members graduate, so now it’s down to three girls – Kirari, Masaki and Yumika. While Himekyun Fruit Can is a rock group, AiCune is more of a standard, pop idol group, at least from the songs I’ve heard of them. They’re also not particularly high energy, and while some of their songs are pretty fun (Nagisa no Sympathy is pretty great) they aren’t especially memorable. That’s not a bad thing – their music isn’t bad, and sometimes I want some generic idol jams. That said, I don’t know if there’s that much to make AiCune stand out, unless you’re already a fan of their sister groups. I’S9 is a group based in Fukuoka. Formed in 2012, they have a very classic image. While they are still a pretty small group, comparatively speaking, their most recent single, Mebae no Haru, hit #6 on the Oricon Daily Chart, so this could signal some future growth for I’S9. While I personally like a pretty standard/classic idol group now and then (I do love standard idol music), there’s not too much that’s drawing me into I’S9. Their songs are all solid, so I’d urge you to give them a shot, but none of them are memorable (with the possible exception of Onegai, Gyuttoshite). If you want a cute indie group to follow you could do much worse than I’S9, but they aren’t the most interesting group of the bunch. I’m kind of glad that Idol College is still kicking. I’ve been writing about them since my first TIF posts, and while I hardly pay attention to them in my off time it’s almost comforting to check back in on Idol College every year or so. Their theme is for everyone to raise them as future idols. They’ve also reached #6 on the Oricon chart, which is a pretty major accomplishment. This year they released a new album on April 20. While I still have an image of them being a cutesy group, they have also done quite a bit of EDM music – last year’s Tokonatsu Joshi Kibou was a particular favorite of last year. It’s been really fun to see Idol College grow from being a small group with inconsistent releases to becoming a decently popular group. While as a group they haven’t quite gotten me invested or interested, they are a well produced group that has some solid members. Unfortunately, if you are an American Idol College has been affected by the YouTube Red region locking. However, if you can look them up, I encourage it, because Idol College is becoming a force to be reckoned with. Idol Renaissance has been on my radar for the past year since I covered them for my last TIF posts, and, if you like idols (especially Up Front idols) they should be on yours too. They had a pretty big year – they’ve released an album (titled “Our Songs”), they’ve had sold out one man lives. They did a joint concert with the Hello!Project group Country Girls, and their member, Higa Nanako, had a featured role in the PV for Up Up Girls (Kakko Kari)’s “Party People Alien.” And they are still maintaining their initial idea, which is pretty honorable. Idol Renaissance is a very classic, old school kind of idol group. And, true to form, they perform almost exclusively covers. Their album, Our Songs, is all covers, and all these songs are fairly old, too (my favorite Idol Renaissance song, You, is from the late 80s). What’s also interesting is that, while their songs they’re covering aren’t necessary idol tracks (they’ve covered artists like Base Ball Bear and The Pillows, for example) they all have a classic, old school idol feel to them, which makes Idol Renaissance a major callback. And a refreshing one at that, which is why I think they’re so successful. Unfortunately Idol Renaissance was also affected by the YouTube Red content blocking. However, if you can find videos of theirs to watch, I think they’re worth your time to check out. They’re doing something different, which is very valuable. 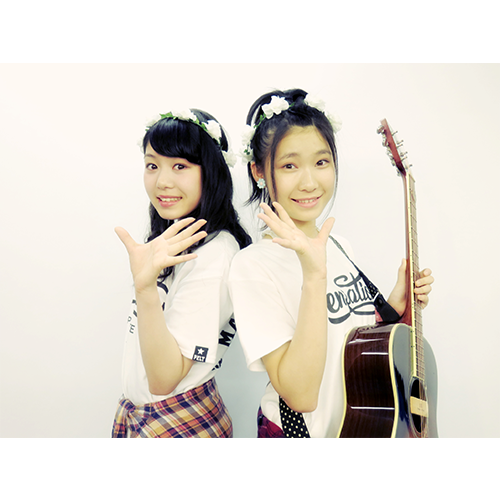 Iris is a two member idol group from Sendai. Their name comes from the goddess Iris, who connected the heavens and the earth, and their goal is to do the same but with people. The “ris” in Iris also stands for “restart.” Given the existence of the group i*Ris (who will be focused on in the next TIF post), finding stuff with just Iris is a little tricky. If you search about them in English i*Ris is what shows up. Even in Japanese you might have to specifiy the names of one of the members (Momoka and Yukino) before you see this group. Or you can search for “Moradoll” with Iris and that will help, though most of the videos are from a couple years back at least when they had three members. The fact that finding things about Iris is so hard and the fact that they aren’t publishing more video content is kind of a shame because I’m really digging the music. They have a bit of an old-school retro kind of sound to them – not quite funk but has that same kind of sensibility to it. It’s a really good sound and I genuinely like the music I’m hearing they do, it’s just hard to find. If you’re in Japan or going to TIF I’d probably seek out Iris, but if you’re overseas it might be hard to do so.